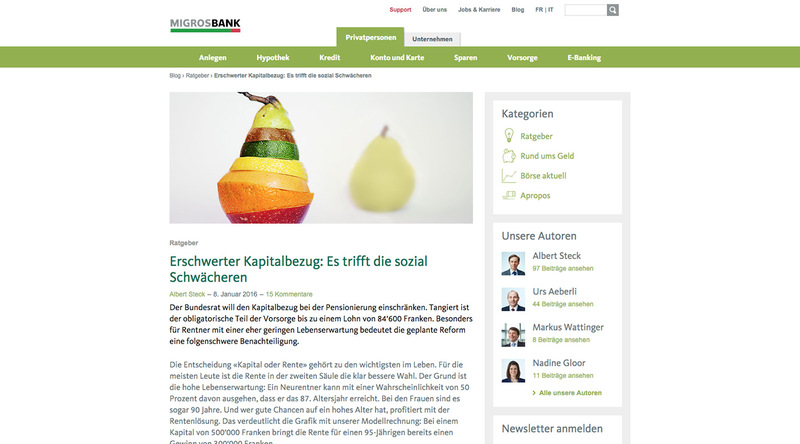 The original Migros Bank Blog layout was based on an adaptive frontend, like the main website. 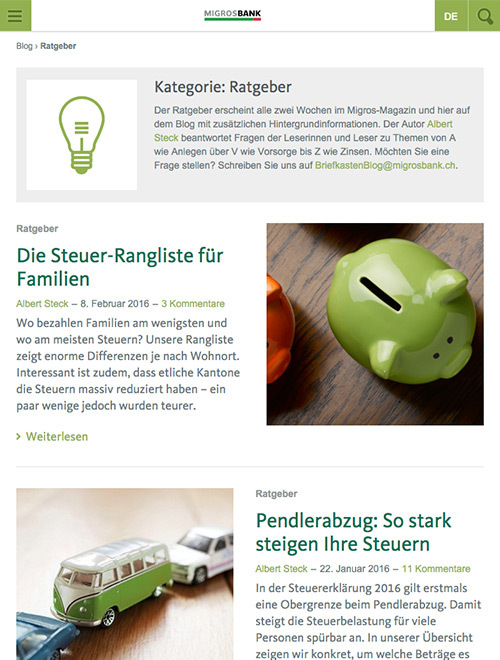 We re-wrote the entire code of the WordPress solution and built a fully responsive frontend on top of it. 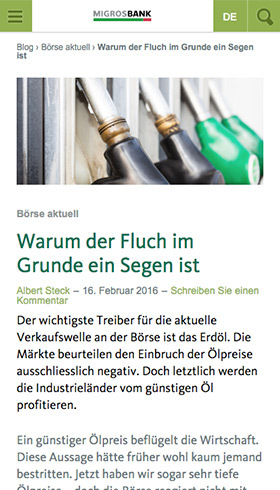 Additionally we gave the blog a modest facelift. The header & footer areas contain non blog related stuff and are fed directly by the CMS (Magnolia) of the main website. 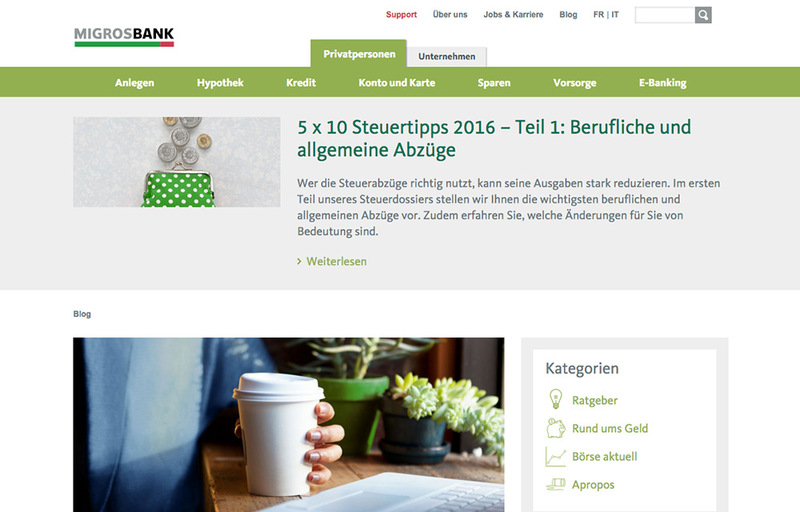 We used the new REST API in WordPress to deliver cached versions of the header & footer to the Migros Bank Blog.